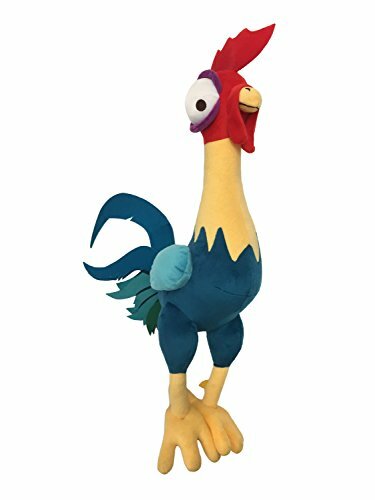 Kids are sure to enjoy seeing this lovable Moana Hei Hei pillow buddy waiting for them on their bed everyday when they come home. The perfect travel companion, pillow buddies enjoy adventures in the car, being carried around the house and snuggling at nap and bedtime too. Character pillow buddies are plush and soft to the touch. Pillow buddies have super cozy fill so you can rest your head on them comfortably. Makes a great gift and addition to any Moana themed room. Easy care, spot clean polyester. Imported. Measures: 18" x 7" x 5.5"